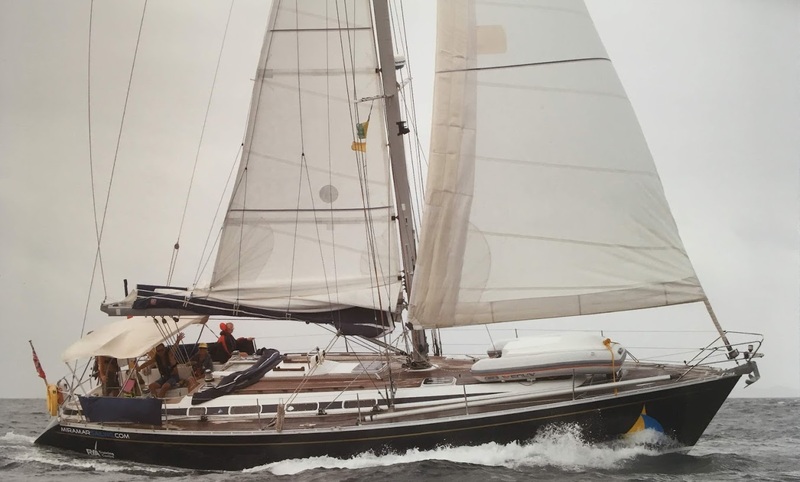 Phoenix – a Grand Soleil 46.3, is the latest addition to the Miramar Sailing Fleet..
Affectionately known as a “Spaghetti Swan”, she was built by the Cantiere del Pardo yard in Italy. 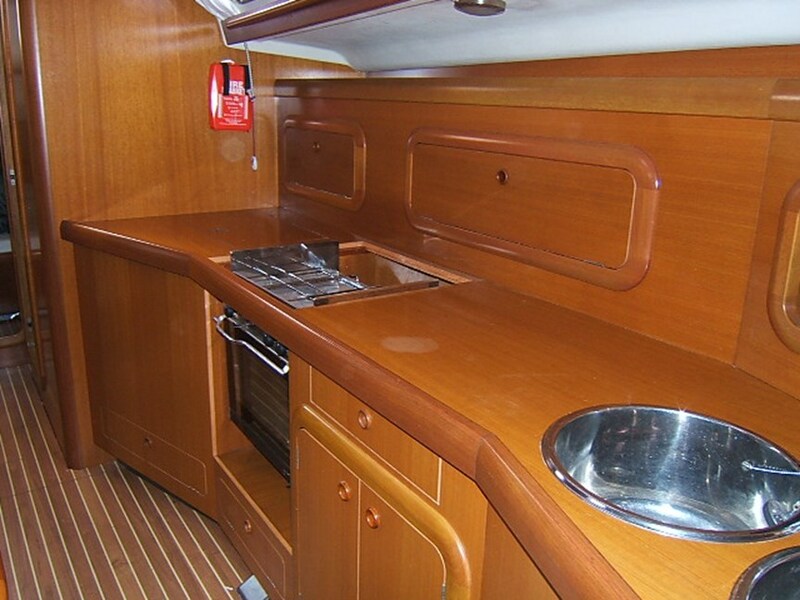 She is a beautiful Racer/Cruiser with superb, spacious interior and accommodation. 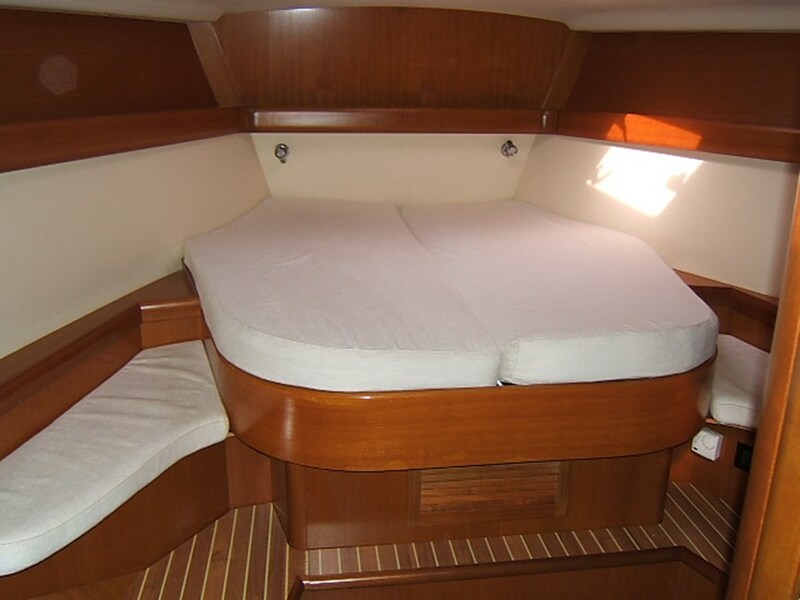 Her full teak decks provide a feel of real luxury and quality. 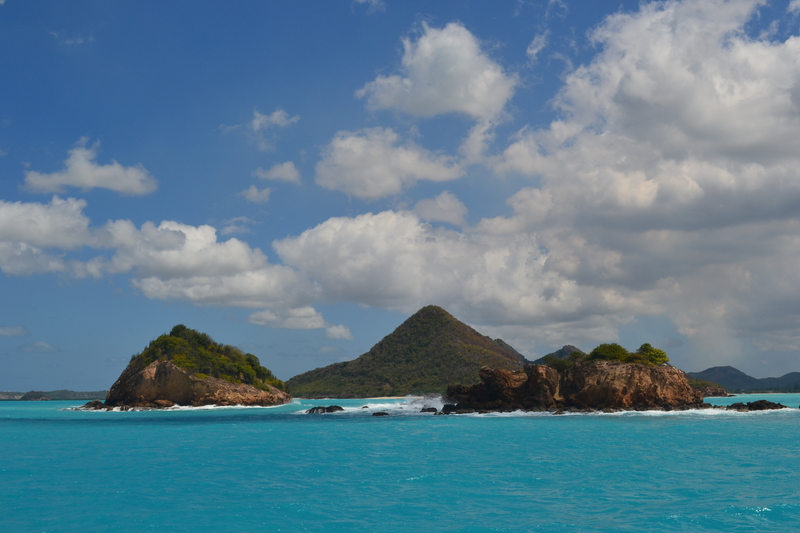 Phoenix is the perfect yacht for both Sail Training and Vacation Charter. Our first Italian boat, she is 14.42 metres long, and has a beam of 4.4 metres, making her accommodation below decks very comfortable. 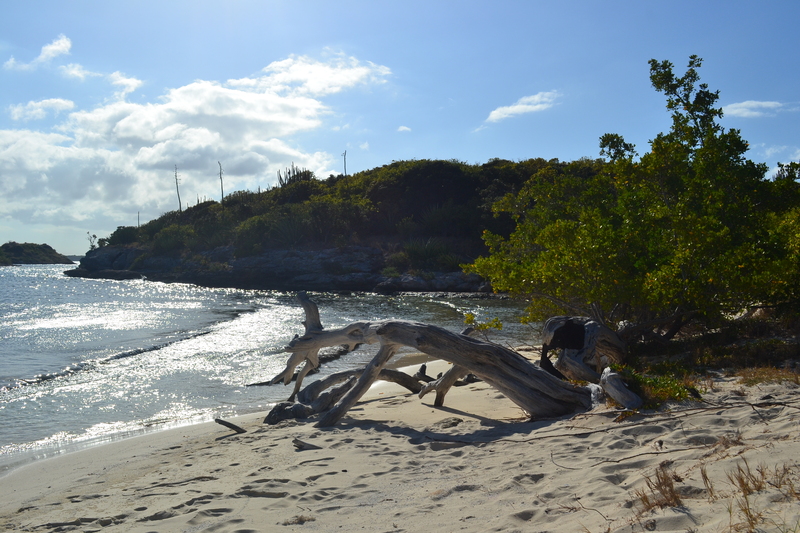 She draws 2.2 metres, giving good stability under sail but still allowing access to the many beautiful, isolated anchorages around Antigua & the other Caribbean Islands. 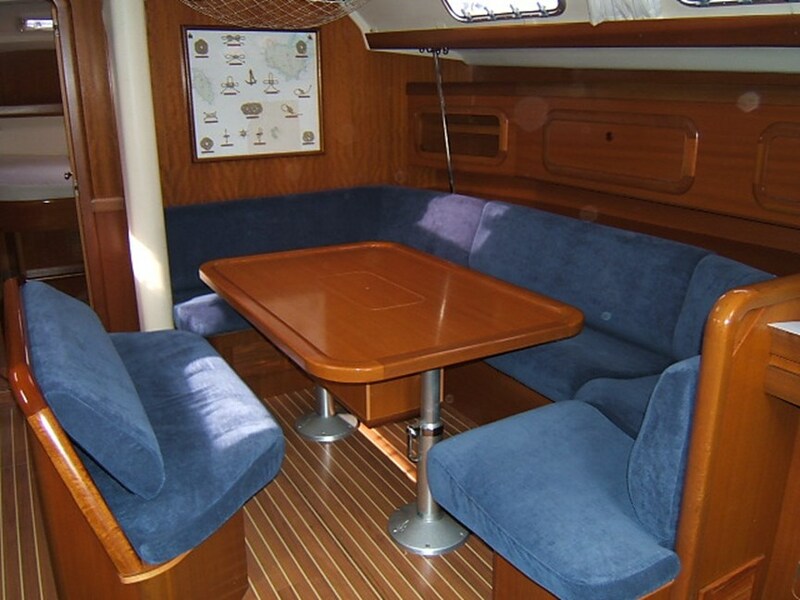 Her spacious saloon and galley allow for sociable gatherings for 8 or more people without being overcrowded. She has 3 double cabins, with forward and aft heads, both with showers Phoenix is a fast and comfortable yacht, built solidly and giving a feeling of safe but nevertheless exciting performance. 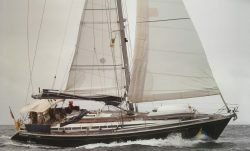 Like Miramar she is a Bermudan rigged sloop, with an inner forestay for cutter rig with roller furled headsail, and stack pack mainsail. All control lines lead aft to the cockpit, giving the crew full control of the sails from the safety of the cockpit area. Her helm is central and set well aft in the cockpit, leaving space for crew members to move around freely. 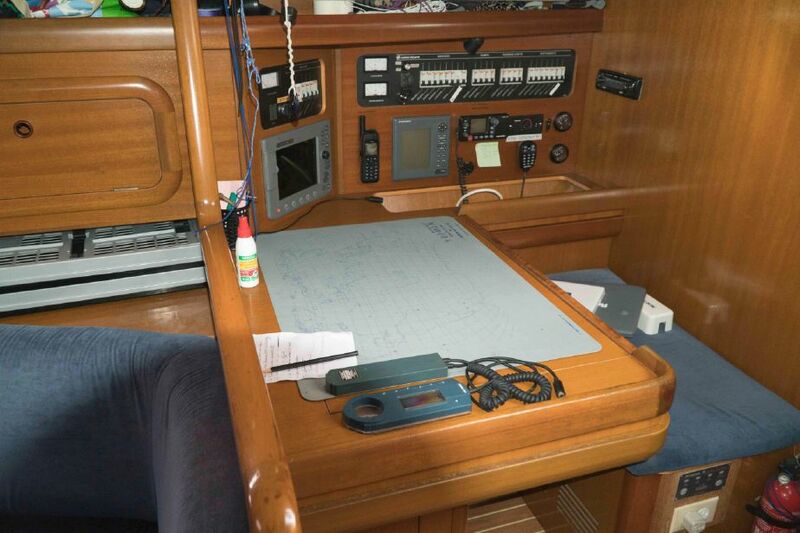 The helm is removable to allow even greater ease of movement in the area when at anchor. 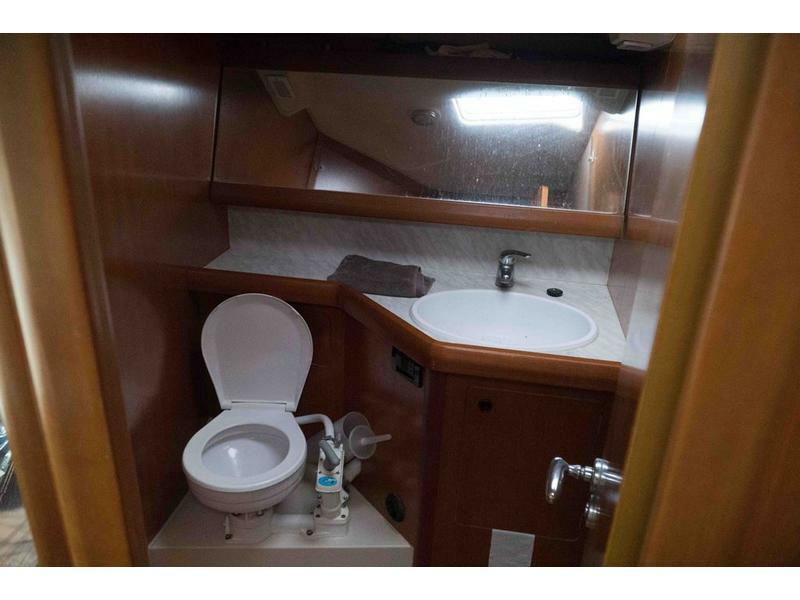 She has steps on her sloping transom to allow swimmers easy access to the water, and there is also a fresh water shower available there to rinse off the salt after that swim. She has a large Bimini to protect the crew from the sun and a spray hood to shelter behind in inclement weather. Her engine is a Yanmar 56hp Diesel, a motor renowned for its reliability & longevity, and guaranteed to get you home when the wind stops blowing. 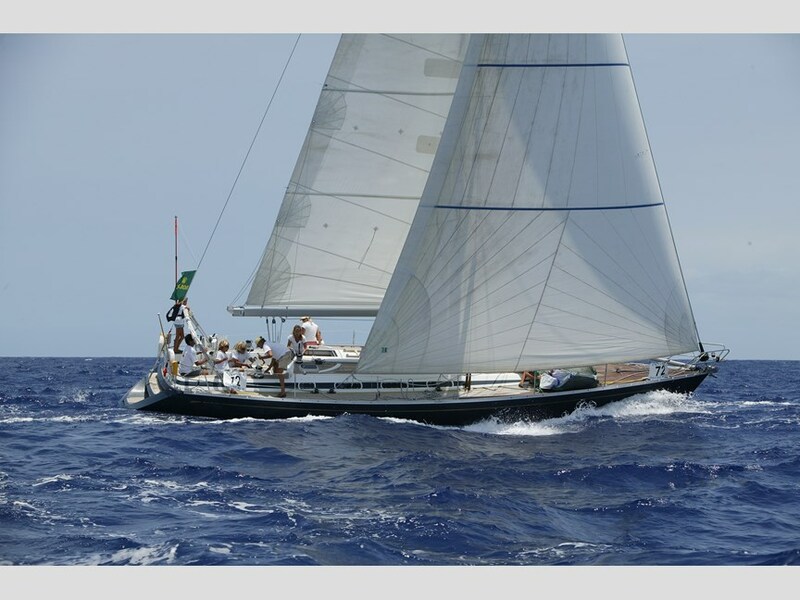 Being a Sail Training vessel in our RYA recognised Training Centre, Phoenix is maintained regularly, and surveyed annually to ensure she is ready to meet the rigours of our Sail Training programmes. Lifejackets: Full complement each with light, whistle and auto and manual inflation facility. Propane Gas: Automatic Low Level Sensor with auto alarm.